Small volumes of anti-EEF2 antibody vial(s) may occasionally become entrapped in the seal of the product vial during shipment and storage. If necessary, briefly centrifuge the vial on a tabletop centrifuge to dislodge any liquid in the container`s cap. Certain products may require to ship with dry ice and additional dry ice fee may apply. This gene encodes a member of the GTP-binding translation elongation factor family. This protein is an essential factor for protein synthesis. It promotes the GTP-dependent translocation of the nascent protein chain from the A-site to the P-site of the ribosome. 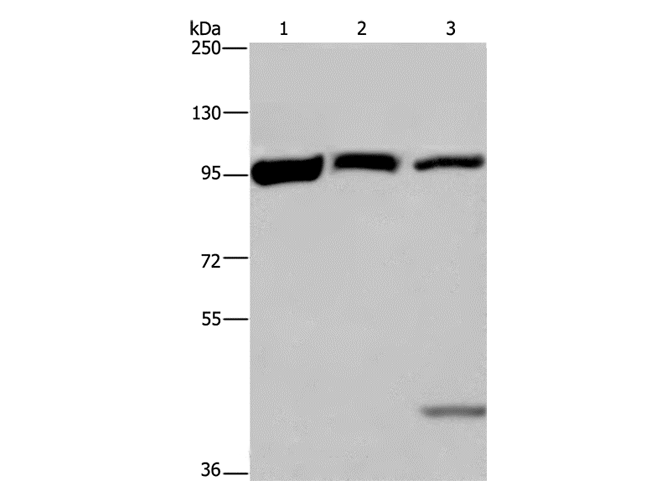 This protein is completely inactivated by EF-2 kinase phosporylation. NCBI/Uniprot data below describe general gene information for EEF2. It may not necessarily be applicable to this product. EEF2: a member of the GTP-binding translation elongation factor family. An essential factor for protein synthesis. Promotes the GTP-dependent translocation of the nascent protein chain from the A-site to the P-site of the ribosome. 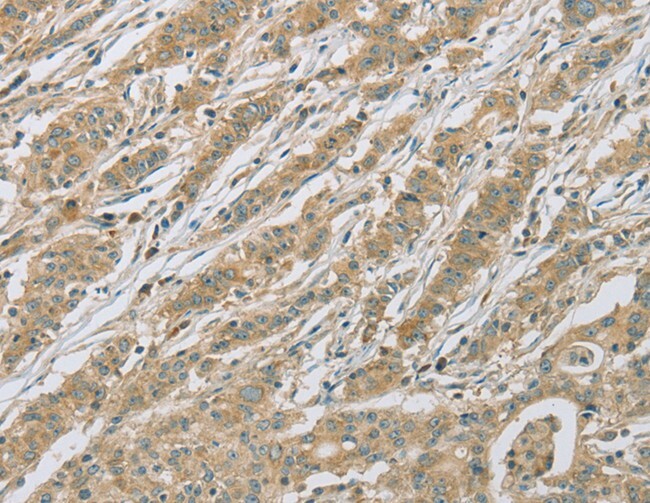 This protein is completely inactivated by eEF2 kinase phosphorylation. eEF2 kinase is normally dependent on Ca2+ ions and calmodulin. eEF2 kinase can also be activated by PKA in response to elevated cAMP levels, which are generally increased in stress- or starvation-related conditions. A variety of treatments known to raise intracellular Ca2+ or cAMP levels have been shown to result in increased phosphorylation of eEF2, and thus to inhibit peptide-chain elongation. 1. High serum eukaryotic elongation factor 2 level is associated with non-small cell lung cancer.